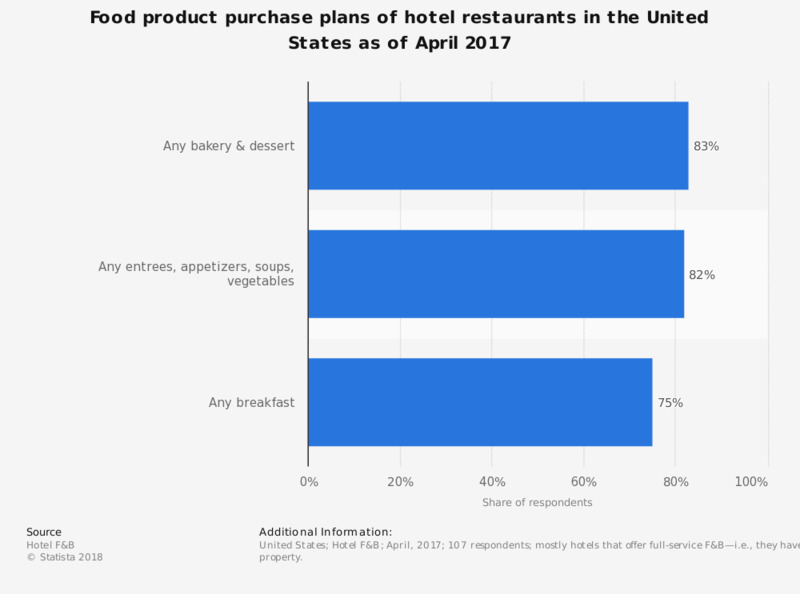 This statistic shows the food product purchase plans of hotel restaurants in the United States as of April 2017. During the survey period, 83 percent of respondents stated they plan to purchase bakery and dessert products. mostly hotels that offer full-service F&B—i.e., they have at least one restaurant on-property. The source did not provide detailed information regarding the age of respondents or method of survey.